USO Manager of Volunteer Operations Allison Nalley introduces the USO Volunteers of the Quarter for Summer 2018. 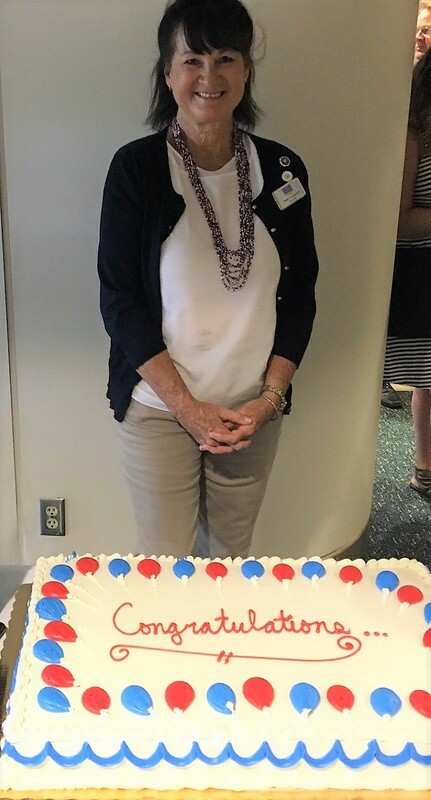 Since the inception of USO Central Florida, Gwendolyn Dougherty has been a constant, acting as a USO ambassador, volunteer trainer and program lead. The staff knows they can rely on Dougherty to provide excellent customer service and support to visitors and volunteers alike. She is never smiling more than interacting with service members and their families. Even before the USO officially opened in Central Florida, Dougherty was an active outreach volunteer. She was one of a few volunteers who attended special events in the community as a USO representative. Fast-forward four years and Dougherty is the first face people see at a welcome home greeting, someone always ready to hand a snack to a traveler and a strong advocate of programming for families. Because she is so dependable, she is tasked with not only leading the center’s programs, but planning for them as well, which can include recruiting in-kind donations, setting a budget and guiding other volunteers. There is very little Dougherty cannot do when it comes to supporting the USO. From programming to outreach and all center activities in between, the USO can rely on Gwen Dougherty to be there, offering her signature smile and a helping hand. Let’s stay in touch. Sign up for our emails. Beth Steffen knows how to make life easier around USO Kaiserslautern area. As a special events volunteer who also supports the USO center at Ramstein PAX and the Kaiserslautern deployment operations, she is truly there for service members and their families throughout their time in Germany. With more than 850 volunteer hours logged in the past two and a half years, the staff and volunteers at USO Kaiserslautern know they can depend on her. Known as the “mind reader” around the USO, Steffen often anticipates what additional needs will arise during a program. To be better prepared, Beth created a special events kit with anything one could need while conducting an off-site event. This kit can be customized depending on the nature and location of the program. 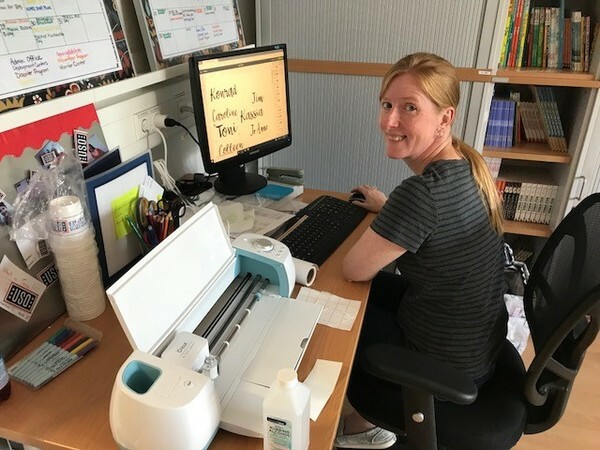 Steffen is highly involved with the planning and preparation of events, and often arrives early; because of this, staff often show up to outreach activities amazed at how much she’s already done before they’ve even arrived. Her involvement in the process ensures that special events run smoothly for staff, volunteers and guests. Steffen is a big picture thinker. She provides small suggestions around the center which have a large effect on the overall operations. When she is not helping at special events, you can find her behind the welcome desk at the Ramstein PAX terminal or out in the community acting as a USO ambassador and spreading the word about the USO’s mission. USO Kaiserslautern is lucky to have an innovative and dedicated volunteer like Beth Steffen. Army Sgt. Benjamin Watts knew how important it was to have a USO open on the Al Asad Air Base in Iraq. While the USO was in the process of hiring staff to run the center, Watts ensured the center remained operational in the meantime. That was no small task. Keeping the center opened included recruiting additional volunteers, planning activities and overseeing center resources. Watts completed these tasks, as well as his own military duties, while also ensuring that the staff of a nearby USO center remained informed of the Al Asad USO center’s daily happenings and center needs. Knowing how important communication is to service members and their families, he made sure that every phone and computer was well maintained and working. Today, this allows the men and women stationed at Al Asad to use the 24-hour center to contact their families and friends whenever they want. Over the last nine months of Watts’ volunteer tenure, all phones and computers have been functioning perfectly. When he’s not ensuring the center stays open and has functional equipment, Watts provides excellent customer service to USO guests. He makes everyone feel comfortable and welcome when they walk in the center, and he is well known for his charisma. Sgt. 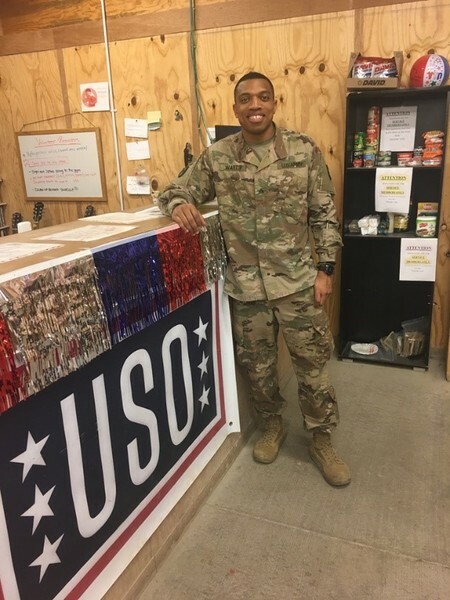 Benjamin Watts is the dedicated volunteer that USO Al Asad needed during its time of growth and he is the type of volunteer that the center is fortunate to still have. Jeanie Thompson, or “Ms. Brownie” as she is affectionately referred to for her baking talents, is a pivotal part of the USO experience at the USO Pohakuloa Training Center in Hawaii. You can usually find her in the kitchen making her famous brownies, which help service members feel like they are home, even when far away. 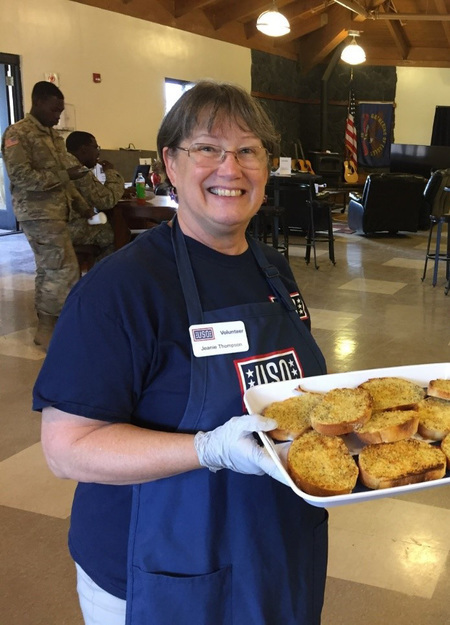 Thompson wants everyone who walks through the doors of the USO to feel comfortable and welcomed, and she knows the fresh baked goods go a long way in doing that. In fact, when service members come through for another rotation, they know to go back to the USO and look for “Ms. Brownie’s” delicious treats. Thompson is willing to go the extra mile (sometimes literally, as she will drive an hour away to pick up supplies for programs). She dedicates her time and energy to improving the USO and ensuring that it runs smoothly for volunteers and guests alike. When the center manager had to take a few weeks off, Thompson kept in constant contact, making sure supplies were well stocked, programs were planned and volunteers were available to make sure the center could stay open. Jeanie Thompson truly understands the value of the USO and the important role volunteers play in creating a warm, comforting, home-like environment for service members. If you are ever in the area, be sure to stop by and visit Ms. Brownie—she may even bake you a snack.